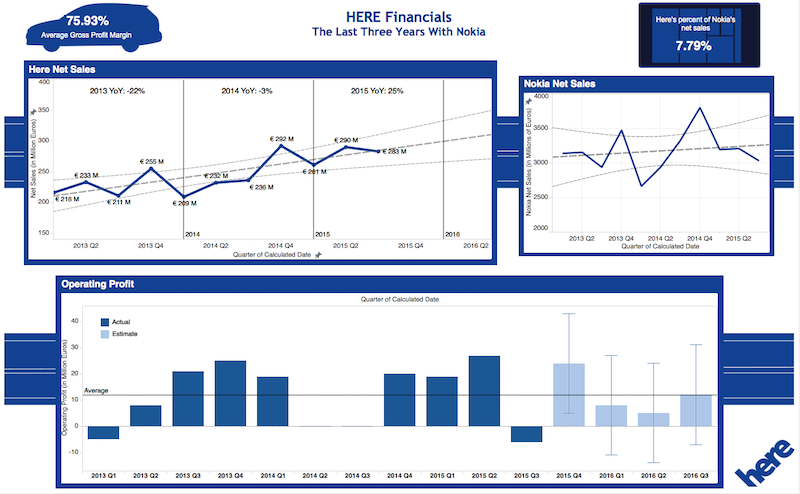 Another Tableau worksheet that focused on the financial information of HERE. This is a sample of me implementing more of my design work into Tableau as well as me pushing myself further to get the most out of the application. I also used it as a demonstration of may ability to make icons and graphics for that would work with the companies design ascetic.